View available dates and times to setup an appointment online. The office will respond to confirm your appointment. Book an AppointmentChat Us Now! 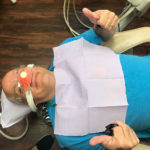 For patients with high anxiety laughing gas can make dental procedures much easier. Many dentists charge a premium for this service but we offer it at an affordable price. Are you unhappy with your crooked teeth? 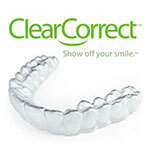 Dr. Alrez treats patients using ClearCorrect Aligners, an invisible alternative to braces. Treatment can be as fast as 6 months. For $299 per year, you will receive 2 cleanings, 2 exams & X-rays. For $249 per year, children under 13 will receive 2 cleanings, 2 exams & X-rays. For $399 per year, you will receive 4 cleanings, 2 exams & x-rays. Alrez Family Dentistry is a dentistry office in Glen Mills. We serve patients all over Chester and Delaware County.